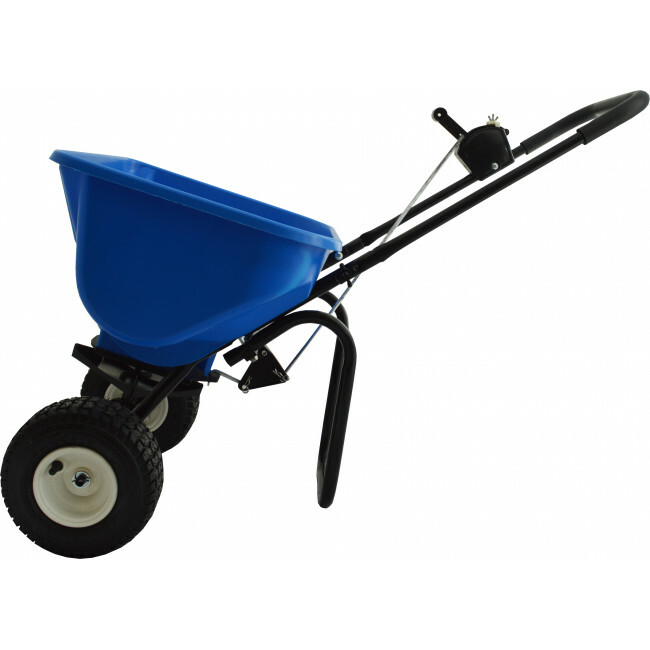 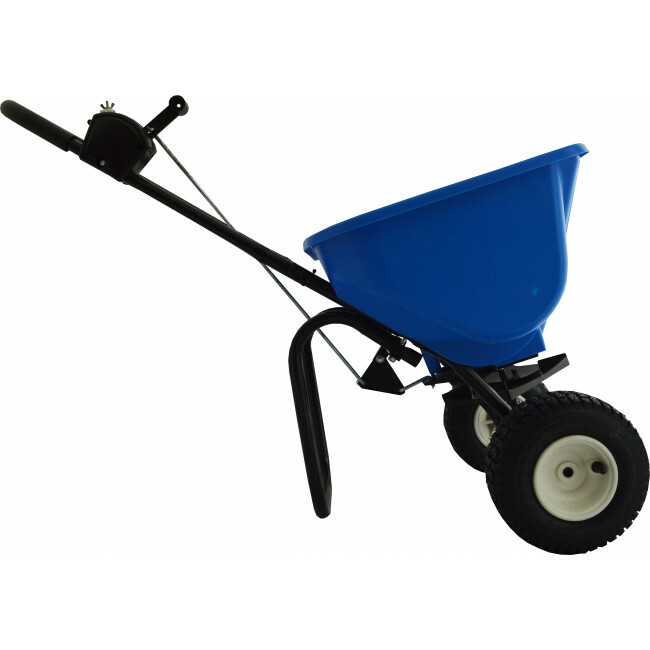 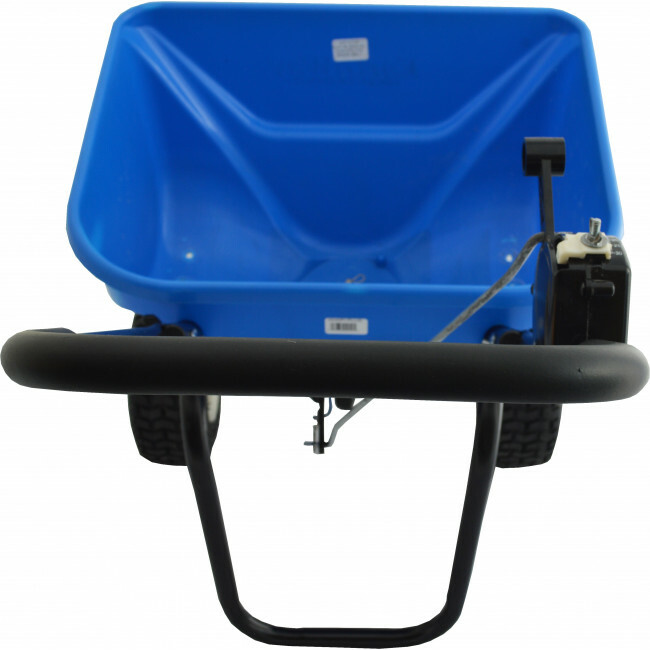 Packed partially assembled, this spreader consists of high-quality features and professional spreading ability. 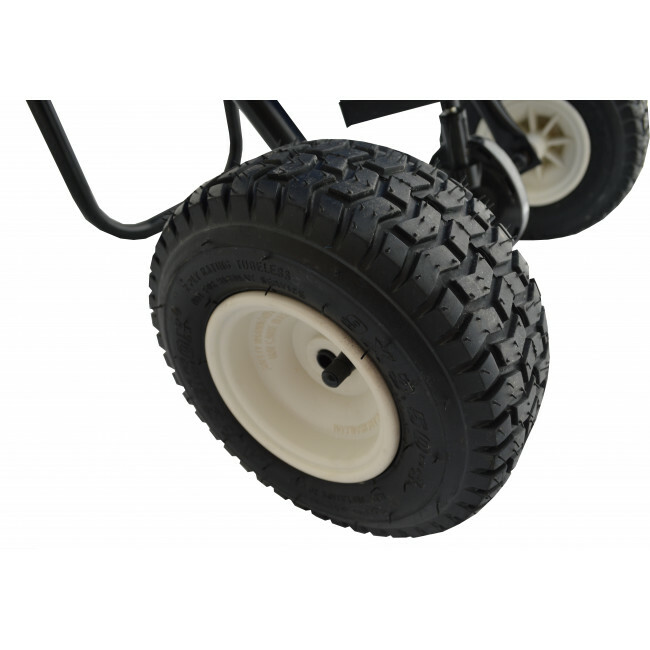 It is constructed from rust-proof polypropylene, pneumatic stud tyres and an epoxy powder-coated chassis. 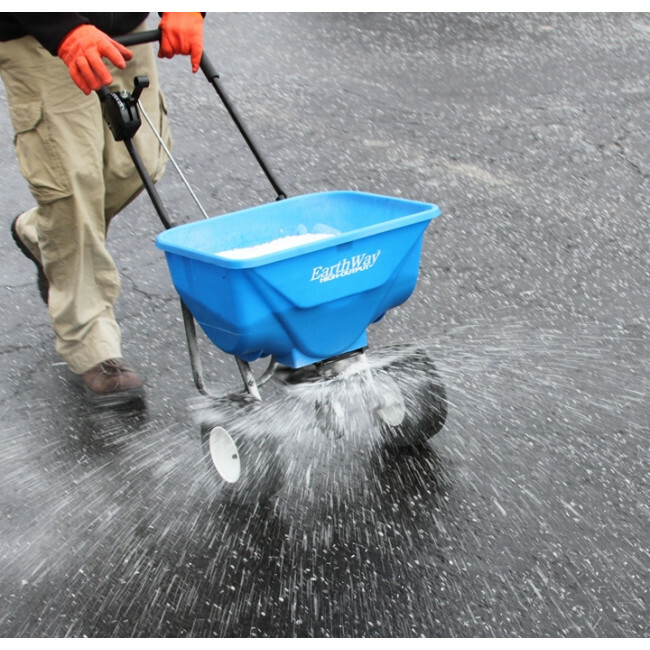 Specifically designed for spreading high-volume products, this spreader can accommodate brown rock salt even in wet conditions. 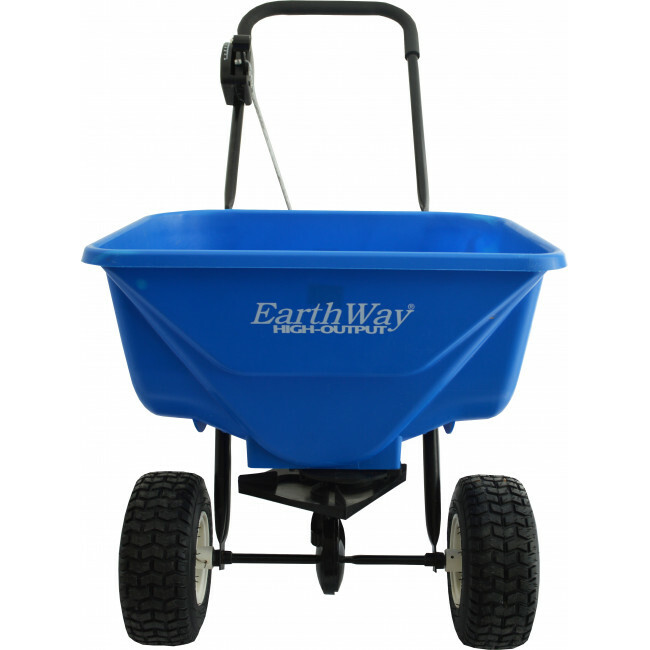 It features specifically enlarged holes in the hopper that allow large, damp rock salt to pass through. 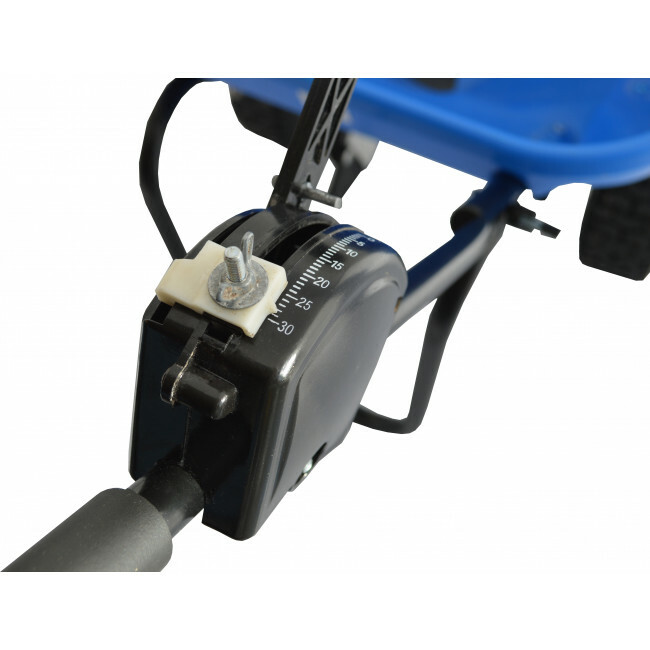 The high-speed gearbox allows the salt to spread at varying levels depending on personal requirements. 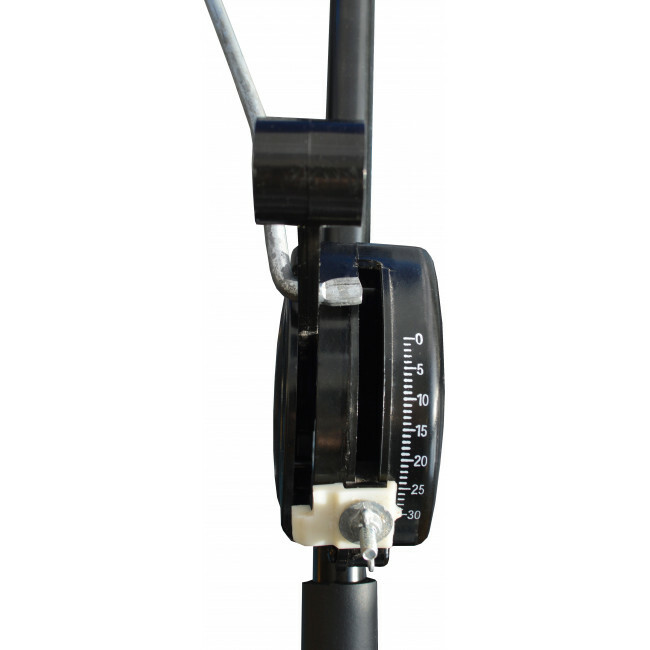 It has up to 3 metres spread zone. 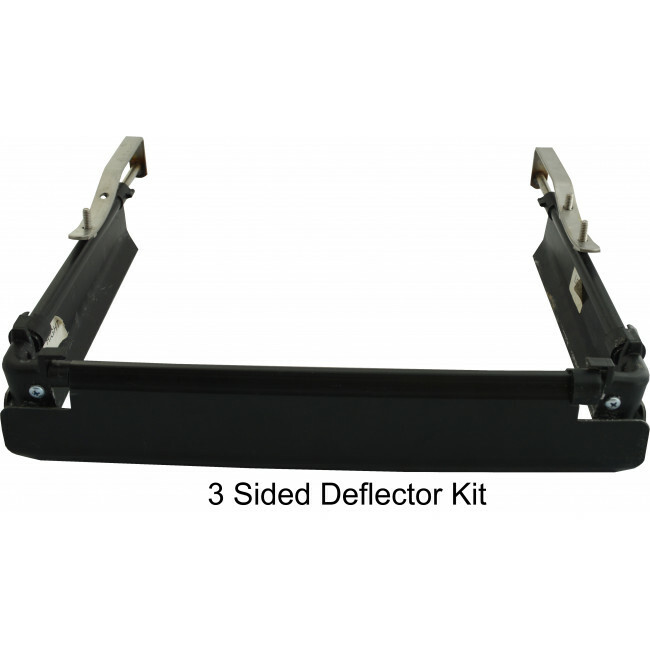 A 3-sided deflector kit is available at an extra cost. 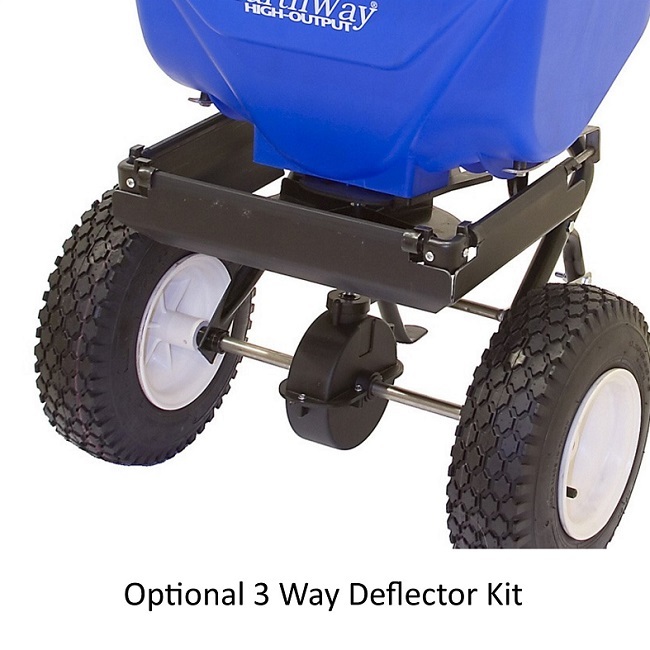 This deflects the salt downwards to keep it from spreading beyond the intended area. 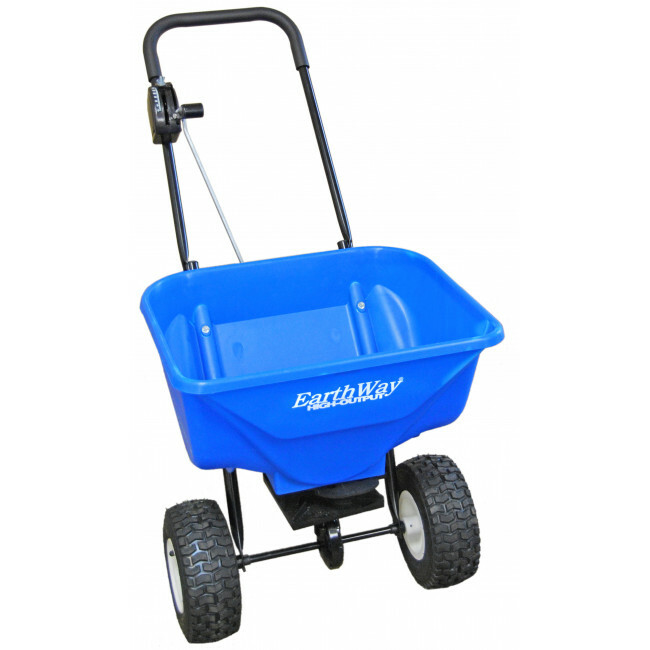 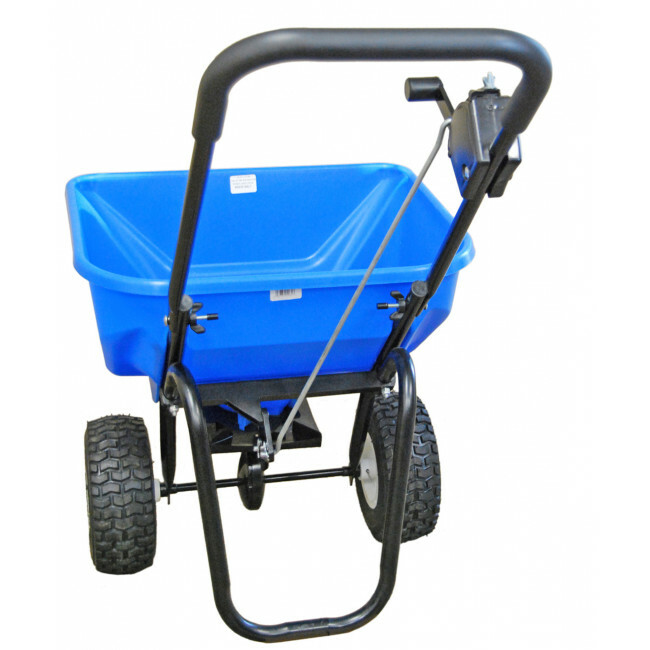 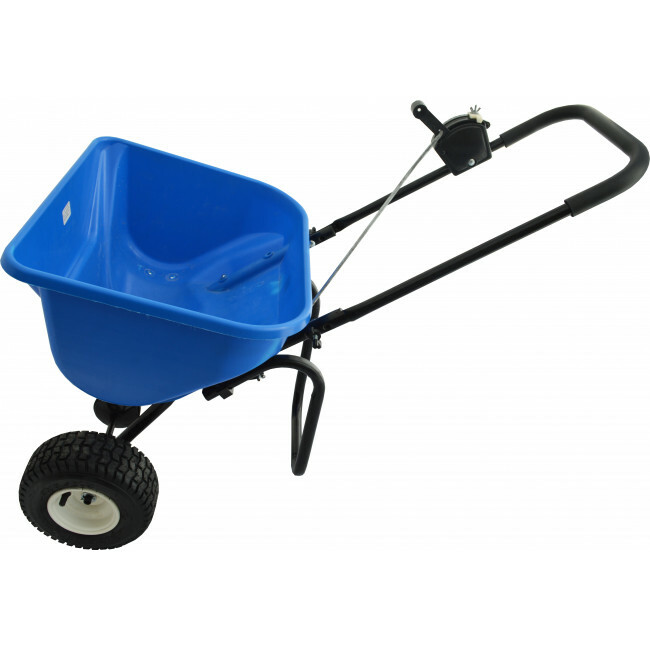 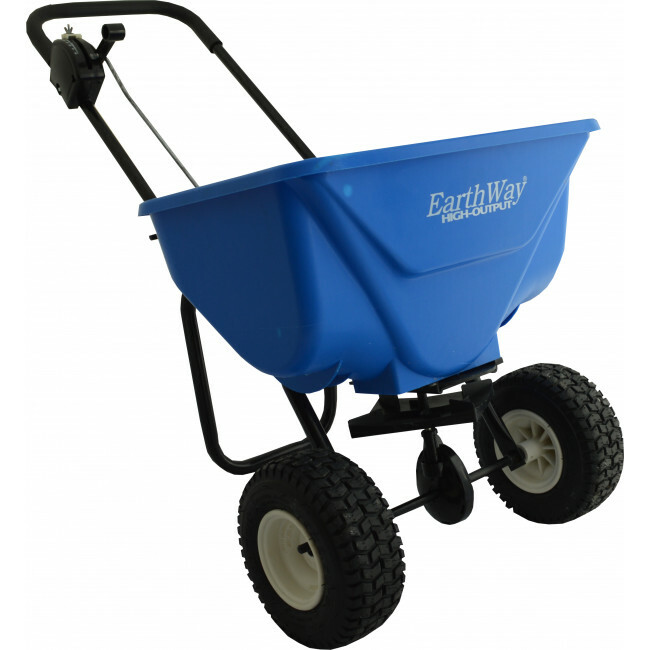 This is ideal for paths, driveways, and small outdoor areas and keeps salt from spreading onto gardens, flowerbeds and streets.